Getting space in travel is hard for startups in new technology, says VC-veteran William Bao Bean, general partner at SOSV, as companies like Priceline and Ctrip in China dominate the industry. Unless you are able to solve specific problems, he tells WebinTravel. He however sees opportunities for “innovating around travel for companies that solve specific problems”. 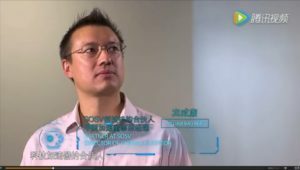 Bao Bean said that SOSV, which groups seven accelerators, does about 150 investments a year, out of which there may be two to four in travel. In total, SOSV’s portfolio includes 700 investments, with the number one sector being biotech and fossil fuels. Bao Bean also founded MOX, SOSV’s Mobile-Only Accelerator, in partnership with GMobi, the largest mobile platform for South-east Asia and India. In addition, he is also an active angel investor, doing about 40 investments a year personally. His interests in travel range from luxury travel – one of his investments include Go Portier, the hotel concierge service used at The Siam in Bangkok – to the corporate segment through an app that offers services in 20 cities across Asia Pacific. He’s also involved in Rikai Labs, a Shanghai and San Francisco-based startup that builds chatbots that are distributed via messaging platforms like WeChat, Messenger and Slack. William Bao Bean is a speaker at the China Speakers Bureau. Do you need him in our meeting or conference? Do get in touch or fill in our speakers’ request form.